It’s still too soon to judge whether Romney received a debate bounce. The initial signs point toward movement in Romney’s direction, but not necessarily decisive movement. On average, Romney gained 2.2 points in today’s polls compared to pre-debate polls, although it is worth emphasizing that nearly half of those surveys included samples conducted prior to the debates. 1) If Obama performed poorly in Rasmussen or Gallup’s samples yesterday, the results weren’t worse than the day dropped by the trackers. In Gallup’s case, Obama actually did better yesterday than he did in the sample from seven days ago. Similarly, Obama actually gained ground in the RAND American Life Panel. The only tracking poll to show clear movement to Romney is Reuters/Ipsos, and it certainly showed clear movement, with Romney now gaining a net-four points since Wednesday’s release. 2) It’s worth comparing the relative stability of the trackers with the clear movement in Obama’s direction following the DNC. Obama probably held a 7 or 8 point edge in the first few nights of post-DNC tracking and even the slow moving seven-day Gallup tracker lurched immediately in his direction. It’s hard to say whether the post-debate polls should behave like post-convention bounce pols, especially since the first day of post-convention polling reflects multiple days of convention coverage, not just one day of debates. And there is reason to believe that the post-debate media coverage can be just as important as the impressions of the debate itself. But there is at least a case that yesterday should have been Romney’s best day, and it doesn’t necessarily look like he got a spectacular bounce. 3) On the other hand, the We Ask America polls showed an abrupt 6-point swing in Romney’s direction in both Virginia and Florida. 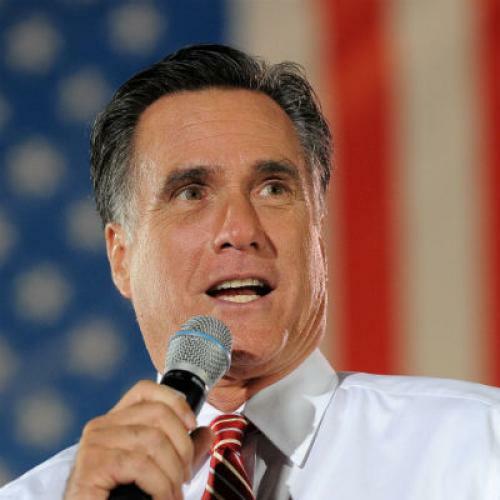 Now, WAA is perhaps the only poll showing evidence of such clear movement in Romney’s direction, so it would be wise to wait for confirmation from other pollsters before asserting that Romney has made particularly large gains. That’s especially true since Rasmussen polled two of the same states and found Romney gaining just three points and making no gains in the critical state of Ohio. Of course, the balance of these polls was indisputably good for Romney, if confirmed by other pollsters. 4) So far, a relatively small and unrepresentative selection of pollsters have provided post-debate results. Rasmussen and WAA's battleground state polls were one day samples by automated firms, and their results have not always mirrored of the broader universe of pollsters. Most pollsters began to survey today or yesterday and the post-debate landscape won't be clear until early next week, when the broader set of pollsters relying on more conventional multi-day or live interview samples are able to weigh-in. By then, the tracking polls will more fully reflect the post-debate landscape, as well.